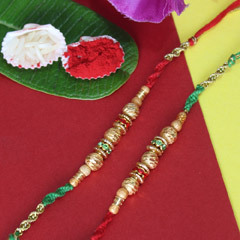 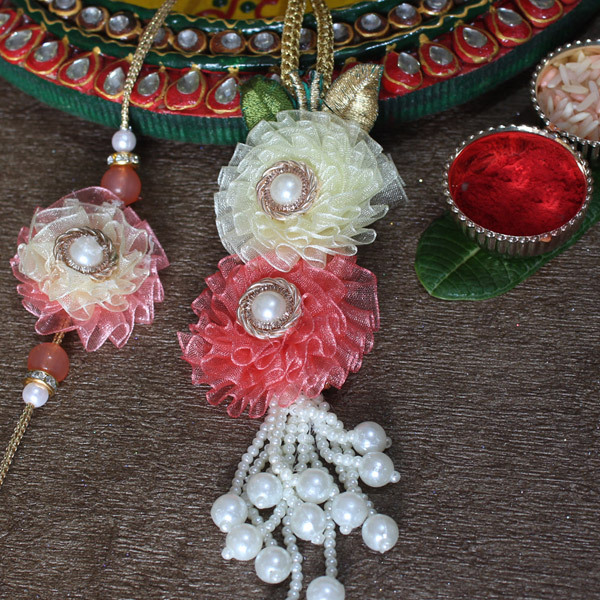 Two very different but very elegant Rakhis are here for you to make choice for and impress dearest brothers on Raksha Bandhan this year. 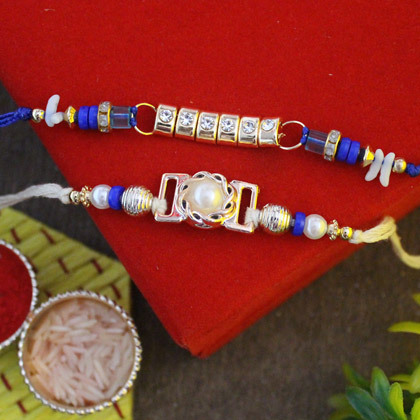 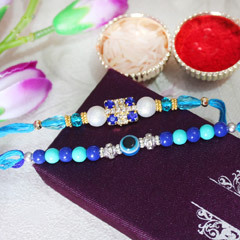 With great intricacy the Blue and White Beaded Rakhi with Pearl in the center and the Blue and White Beaded Stone Studded Rakhi are designed. 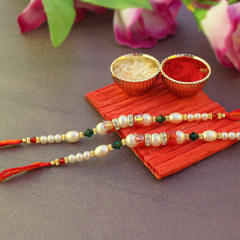 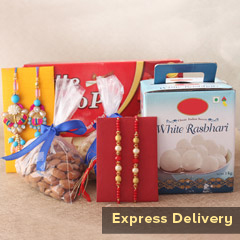 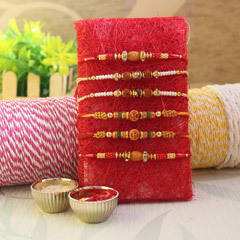 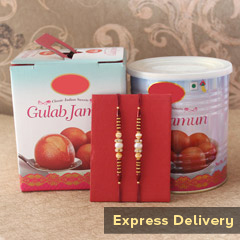 Apart from adorning wrists of brothers, these Rakhis will be strengthening the bond of love between you and brothers.